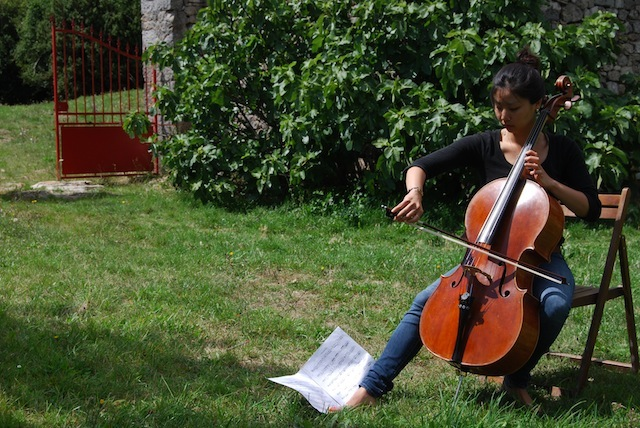 For the tenth year, the Festival will gather some twenty musicians from all around the world for a summer residency and a series of chamber music concerts in the South Aveyron Region, inside the « Parc Naturel Régional des Grands Causses ». Since its beginning, the Festival has met with growing success and the number of concert goers has not stop increasing. National and local medias have widely relayed the event. 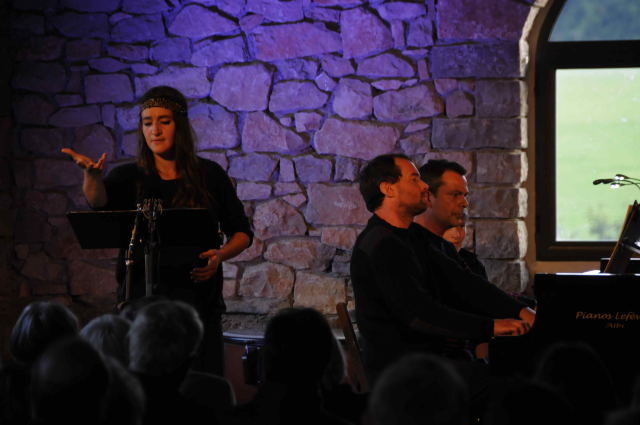 Thanks to the sponsorship from « Mécénat Musical Société Générale », combined with numerous other financial partners, the Festival was able to start and develop. Unfortunatly this precious support came to its term in 2011 in a tight economic context where public funding, despide its increasing effort, is unable to substitute entirely, various funding programs are cancelled and private donors are still very difficult to mobilize. Consequently the budget for the three past seasons has been extremely difficult to achieve. As we are starting this collect, we have not been able to gather sufficient funding, less than one month before the start of the tenth anniversary season. Today we need your support to move past the financial hardships of the 2014 edition and to be able to celebrate the tenth season with you. The 2014 edition : The nine concerts will aim at linking genres and styles and opening the scope of repertories to the public. 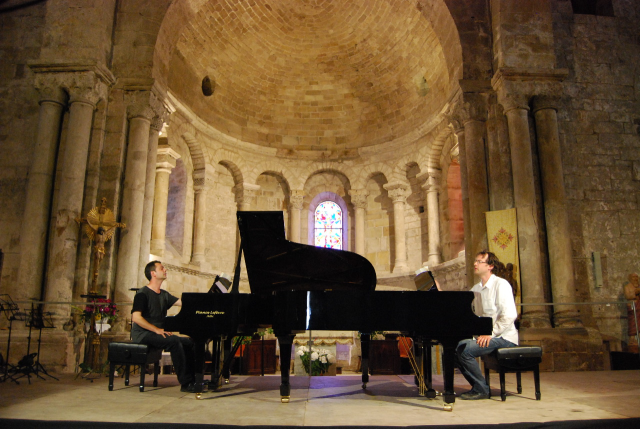 For this tenth season, not only has a work for four-hand piano been commissioned to French composer Jean-Marc Chouvel, but all the previous artists who had a work premiered in the past ten years have been invited to write a short musical « souvenir » which will be performed at the opening of each concert. 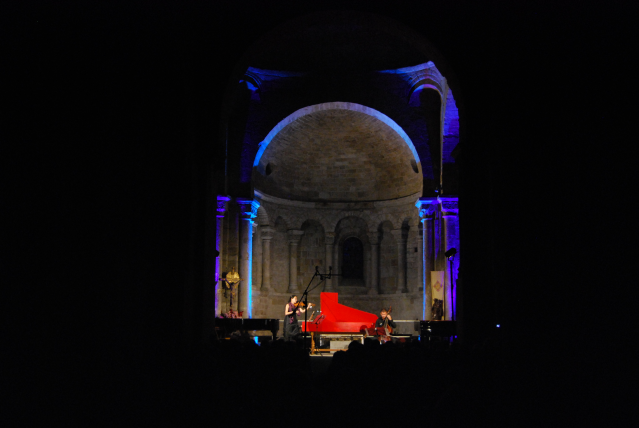 To celebrate the tenth anniversary, the Festival mounted « Camera obscura - Musica chiara », a photo exhibition by Frédéric Mougenot showcasing his view on the backstage of the event. Finally, the final concert of this particular edition will gather all the musicians on stage for an original transcritpion of Mahler’s fourth Symphony by François Miquel, who made in the past remarkable arrangements of Mahler’s first and Bach’s Art of Fugue for the artists of the Festival. You will find all the details about the 2014 edition and listen to musical excerpts on our website. One month prior to the start of the Festival, we are missing 6,000 Euros on a 64,000 Euro budget in order to make this edition possible, despite all our efforts to develop new financial partnerships. Despite a difficult context, we have chosen to maintain the tenth season without giving up our beliefs : the programming will still celebrate the diversity of the chamber music repertoire and the price of admission to our concerts will remain low in order to reach out to the entire community. It is impossible to lower the number of concerts without losing our eligibility to certain funding programs which are currently helping us. Since its beginning, the Festival has invited to its residency more than 80 talented musicians, performers and composers, from around the world to work and perform programs built with an innovative approach : instead of featuring one single preformed ensemble, each concert articulates around a programming idea : thus the musicians join various ensembles and devote to the rehearsing of the works within the residency to serve the coherence of the concerts and contribute to the overall energy. Since the beginning, the Festival has aimed to find and to create links and bridges between genres, styles and periods. 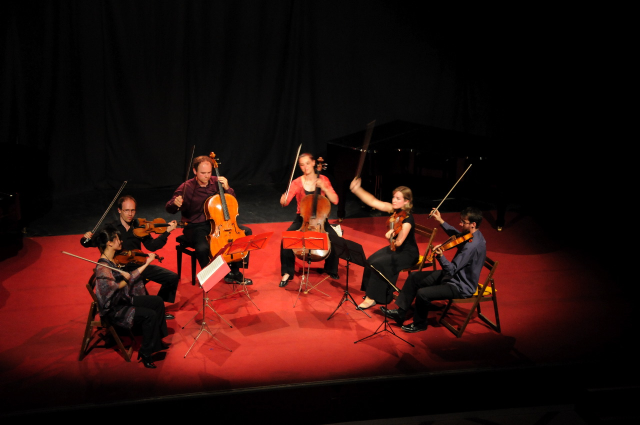 Programs have been imagined from the point of view of the audience member with the intent to reach the most coherent programming : to go from a string trio to song cycle, then to a sonata with piano, within the same concert, without being limited by the technical constraints or by the need to feature one prominent performer… The Festival audience has always been considered as an ensemble of individuals, free from any category and prejudice, allowed to travel within periods and genres with one’s own imagination and right to grasp the emotion wherever it could come from. What better place for this project than the Larzac ? 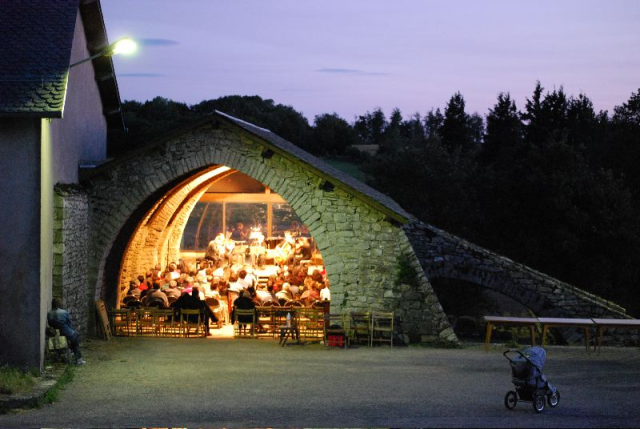 A beautiful land, avid for cultural diversity, offering inspiring conditions for intensive rehearsals and numerous sites with exceptional acoustics for concerts… Also an incredible challenge : to host an international musical event on a rural territory… a combination which seemed impossible for many ! We have always wished to allow access to our concerts, which feature about ten musicians on stage most of the time, at a very affordable price (15 Euros per concert) and we insited on enticing the loyalty of our audience members through attractive formulas (75 Euros for 9 concerts). This matter is essential to us, especially in a rural area, as it bases our desire to share with a public as wide and diverse as possible. This is rare enough to be mentionned : since 2005, all the artists have been paid equally, within union requirements. All rehearsals and concerts are paid for. All administrative, operative, planning and communication tasks, as well as executive and artistic directions, are provided on a voluntary basis. The overall functioning of the event rests on the volunteer action of a large number of people. 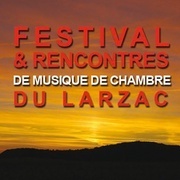 The « Festival & Rencontres de Musique de Chambre du Larzac » was founded in 2005 by Julie Pelat, Jean-Sébastien Dureau and Vincent Planès. Parallely to her regular activity, Julie Pelat has commited to the executive direction of the Festival alongside Jean-Sébastien Dureau and Vincent Planès. 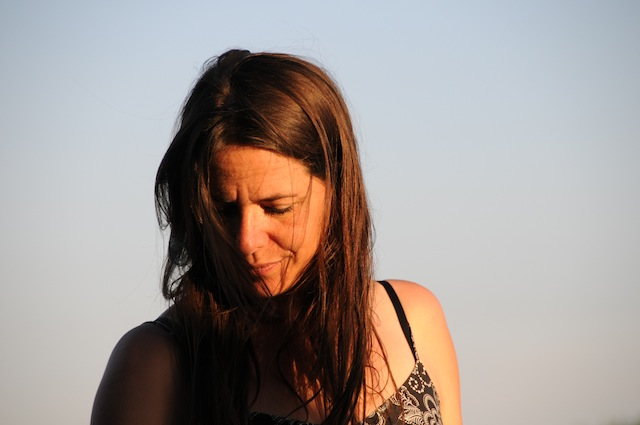 A graduate from the Femis Institute, she has been working as a film editor for more than fifteen years in the field of documentary and fictions. Her films have been mostly broadcasted on Arte and France 2 & 3 and have often crossed her passion for music. Among others, she edited films by Bruno Monsaingeon (« Maurizio Pollini, de main de maître », « Glenn Gould, au-delà du temps », Fipa d’or 2006), Dominique Pernoo (« Une autre vie : une école du violoncelle à Minsk», special prize Festival du Cinéma du Réel) and Gérard Caillat (« L’art de Chopin » et « Les Spira Mirabilis interprètent Schumann »). She also edits concerts recordings : Bach/Pierre Hantaï by Philippe Béziat, Sandrine Piau chante Mozart by Isabelle Soulard, « Absolute Prokoviev : Gergiev/Kavakos/Matsuev » by Pierre-Martin Juban, several concerts from « les Pianos de la Nuits - La Roque d’Anthéron » : Piotr Anderszewski, Nikolaï Lugansky and Elisso Virsaladze, and from the Verbier Festival (Récitals 2008, 2009 by Martha Argerich, Nelson Freire, Hélène Grimaud… Her curiosity towards other topics has led her to work for various documentaires for the cinema: « Mimi » by Claire Simon », « Les animaux ont une histoire» by Marie-Pierre Duhamel-Müller, « La vie sauvage des animaux domestiques » de Dominique Garing and more recently « Les champignons vont-ils sauver le monde ? » by A. RIzo et T. Sipp, « Hitler, Mussolini et moi : Un homme médiocre, en cette époque de surhommes » by Angelo Caperna as well as fiction movies (« Demi Tarif » by Isild Le Besco, « Illuminations by Pascale Breton »…). She currently works on a documentary project with singer Camille and will soon take on a documentary about Mathias Goerne and Schubert’s Winterreise. 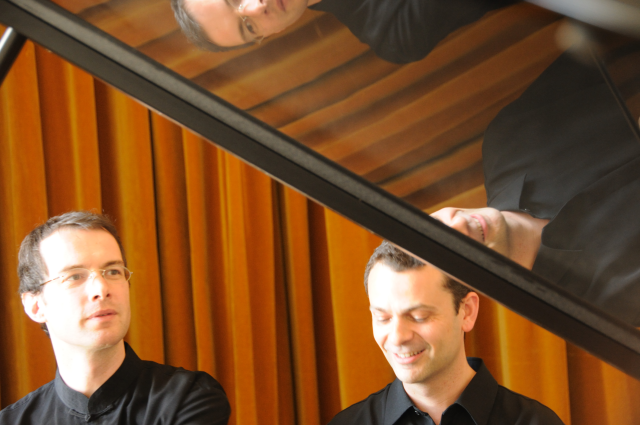 Jean-Sébastien Dureau and Vincent Planès met while studying at Indiana University, Bloomington, where they forged a strong artistic bond. 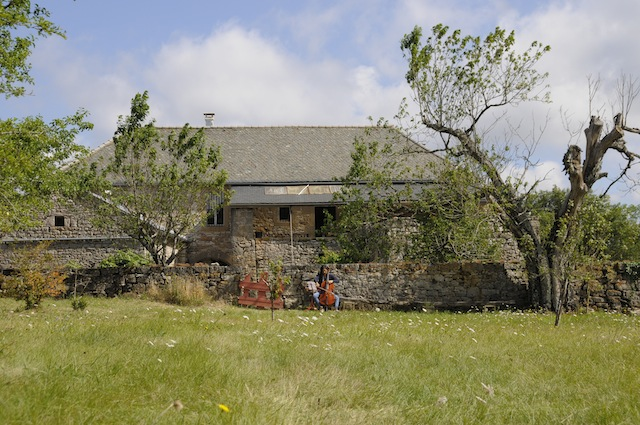 Since 2005, they have been sharing the artistic direction of the Festival de Musique de Chambre du Larzac, an atypical summer residency and series of chamber music concerts drawing musicians from all over the world. After a first CD featuring the music of György Kurtág, they have just released a recording of Stravinsky’s Rite of Spring together with works by Debussy and Busoni performed on Pleyel piano with double keyboard (Hortus). Link to France 3 TV Spot "When chamber music strandards meets contemporary creation"